When it comes to celebrating Mother’s Day in Yorkshire, at Abbots Green we like to do something a little special. From afternoon tea with stunning views to a family day in the peace and quiet, we’ve tried just about everything. So here are our recommendations to make your Mother’s Day in Yorkshire extra special this year. 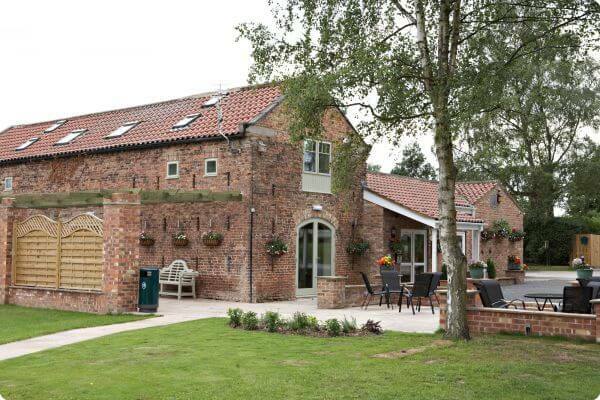 We’re starting out close to home with the Old Barn Coffee Shop (pictured above), adjacent to Abbots Green in Balk, just outside Thirsk. The menu offers everything from a hearty Yorkshire breakfast or brunch to delicious cakes and proper Yorkshire Tea. It’s open daily from 9.30am to 4.30pm, including Sundays, so you can call in to give your mum a special treat any day of the week – and we’re close to plenty of local attractions if you’re making your way elsewhere. Our team is here to make your mum’s day, so please do come along and enjoy our hospitality. We would recommend a quick phone call in advance to book, as things can get a little busy! Think of traditional Yorkshire tea rooms and Bettys springs to mind. With six tea rooms across our area (the closest to us are in Northallerton, Harrogate and York), there are plenty of options. In York’s St Helen’s Square and on Parliament Street in Harrogate, there are even special rooms where afternoon tea is served and, unlike the main tea rooms, tables can be reserved on selected dates. It’s a truly special experience and your mum will feel thoroughly spoilt. If you want to treat mum to a traditional Sunday roast on Mother’s Day, try The Durham Ox, just down the road from us at Crayke, near Easingwold. It has a great reputation for delicious food and the setting is beautiful. Enjoy the roaring fires, flag stone floors and oak beams – just how a Yorkshire country pub should be. If your Mother’s Day isn’t complete without her four-legged friend, you’re in luck: The Durham Ox is dog-friendly too. For tranquil surroundings and an insight into local history, why not travel north to Kiplin Hall? It’s just over half an hour from Abbots Green and has stunning gardens, a charming lakeside walk, and a traditional 17th century hunting lodge to look around. The grounds, shop and tea room are open Saturday to Wednesday all year, while the house opens from Saturday 1st April. Travelling east from Abbots Green, you’ll find Ampleforth Abbey, a peaceful and welcoming place which is open to the public every day except Sunday. Ampleforth is known for its beer and cider, made from home-grown produce in the orchard. Have a look around the buildings and explore the extensive grounds, including walking trails. You’ll learn more in the visitor centre and of course you need to allow time to enjoy the tea rooms. If your mum enjoys a trip to the cinema, she’ll love what Richmond has to offer. The Station Cinema is exactly as it sounds: a former station now converted into a charming film theatre, with three screens showing the latest releases and more. The Station itself also boasts a cafe, along with several shops and businesses – make sure you try the ice cream before you leave! There is a lovely riverside walk just outside, and the market place in Richmond is just half a mile away. Get outdoors and learn about nature at RHS Harlow Carr in Harrogate. The gardens are beginning to bloom with beautiful spring flowers, while the woodland and paths around the site offer plenty of opportunity to blow away the cobwebs with some fresh Yorkshire air. There is a large garden centre and shop so you can pick up plants for your own space – and the books to teach you how to look after them – and the second Harrogate branch of Bettys is also on site to restore you after your efforts. Put your craft skills to good use at Nunnington Hall, near Helmsley, with pottery painting over the Mother’s Day weekend. As well as enjoying the activities together, you can picnic by the river, tour the historic hall, and wander through the walled garden to your heart’s content. Pottery painting is free to all visitors, and this National Trust property also hosts regular events and exhibitions so you’ll always find something new in its many rooms.